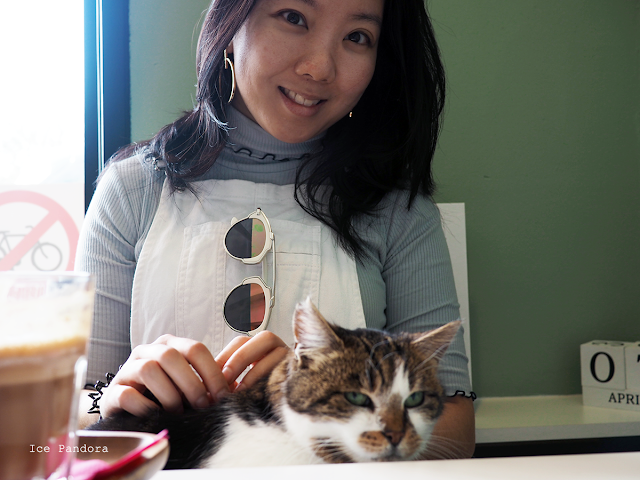 Thanks for your kind compliments on my last post! 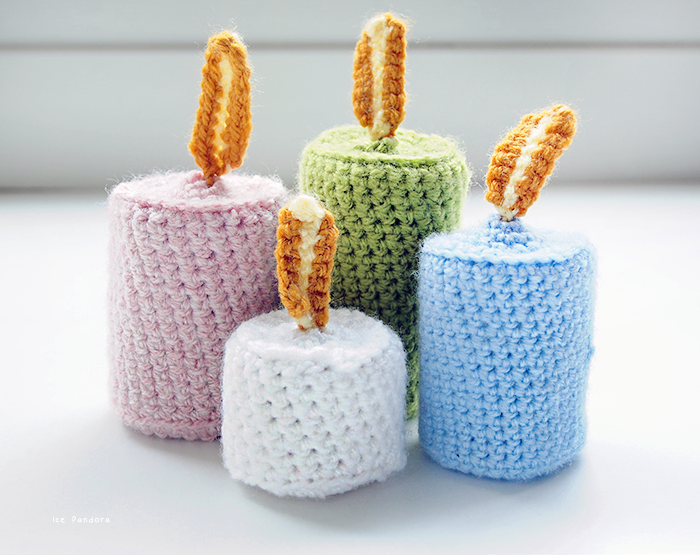 Today I want to share you a fresh new DIY: crochet candles! It’s really easy to make and no filling needed: just use a clean toilet roll! 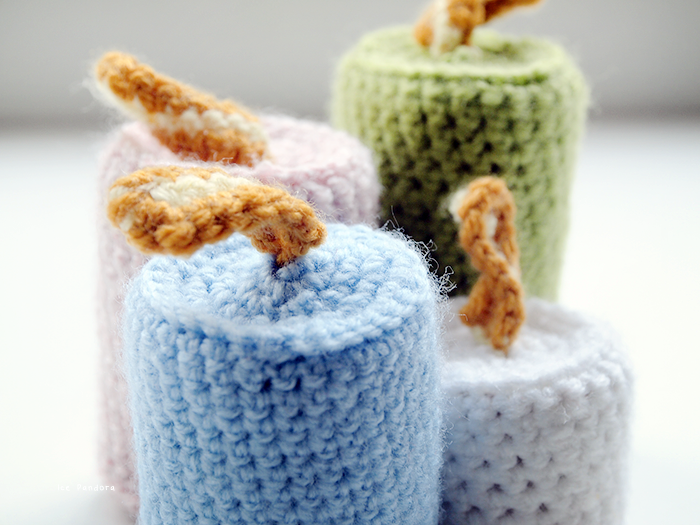 These crochet candles are a lovely addition to your home décor and/or a great gift to that candle lover friend of yours.. 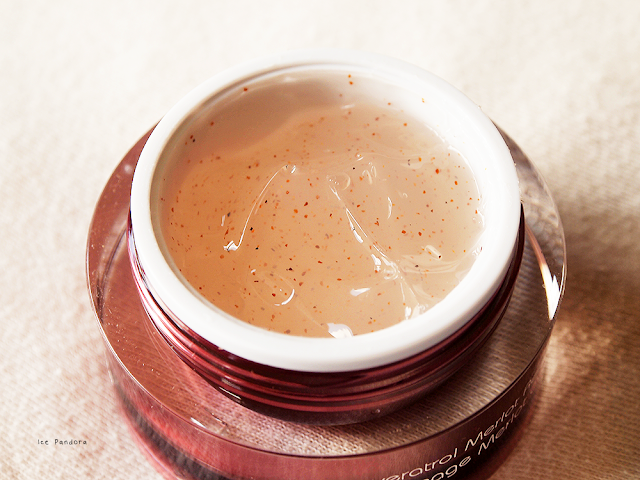 This DIY is put down in a video as well, so you can basically learn it by just following my video here! I have actually filmed it like back in February ’14 and I know, it’s crazy that it took so long for now to release it. Editing a video cost so so SO much time! I use a Windows Video Maker which is in my opinion not a bad program, but maybe a bit to simple. Does any of you have a better alternative for video editing programs? I’d love to know! Bedankt voor uw complimenten in mijn laatste post! Vandaag heb ik een frisse nieuwe DIY voor jullie in petto: haak kaarsen! Het is echt makkelijk te maken en geen vulling nodig: gebruik gewoon een schone wc-rol! Deze haak kaarsen zijn een mooie aanvulling op uw interieur en/of een leuk cadeautje aan je vriend/vriendinnetje! 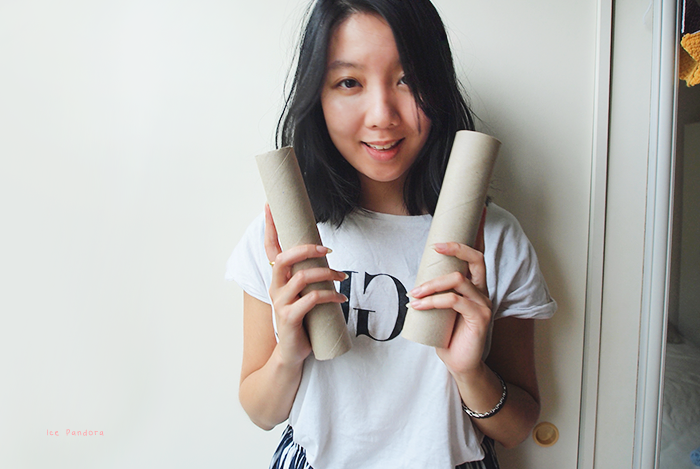 Deze DIY is daarnaast ook vormgegeven in een video. Hoe makkelijk! Dus je kunt in principe leren door gewoon mijn video te volgen! Ik heb dit filmpje al klaar staan in februari '14 en ja, gek genoeg heeft het zo lang geduurd om het vandaag te lanceren... Het monteren + bewerken van zo,n video kost ongelofelijk veel tijd! Ik gebruik een Windows Video Maker, die is naar mijn mening geen slecht programma, maar misschien een beetje te simpel. Heeft iemand van jullie een beter alternatief voor video-editing programma's? Ik zou graag willen weten! 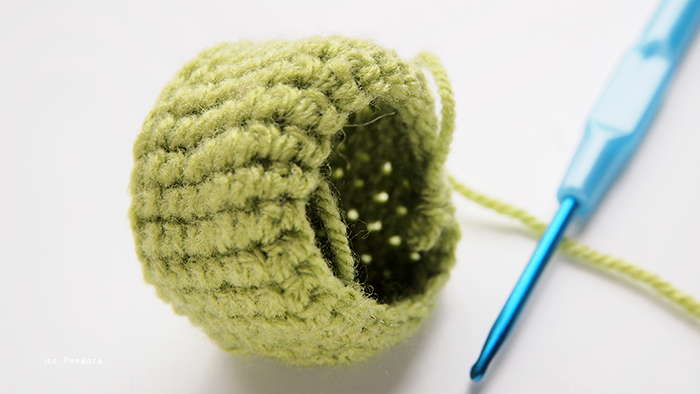 R2: create 2x double crochet in the first stitch, a half double crochet in the next 2 stitches, then single crochet your way to the end of this R2. Leave a tail and chip off. R3 (outside ring): tuck your hookpen in the first stitch and pull your darker colored yarn through this stitch and make a knot. Once you've made a knot, make a single crochet in this stitch. Then you're going to single crochet the outside ring, all the way to the end of this R3. Leave a tail en chip off. 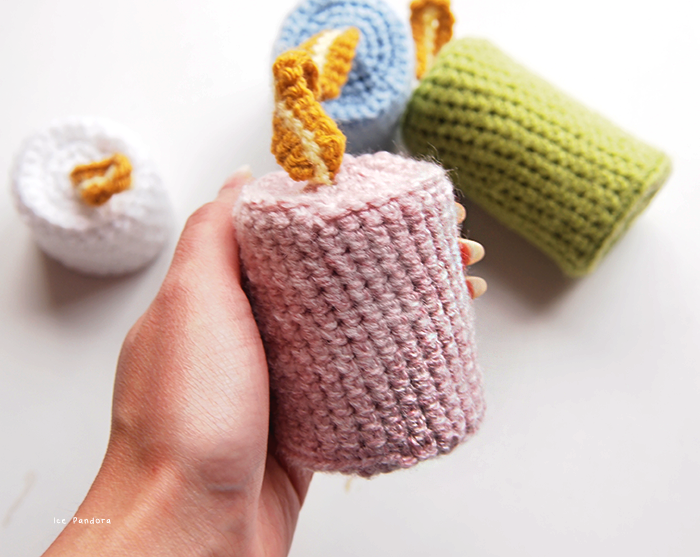 R1: Create a magic loop and make 6 single crochets inside this magic loop. R2: chain 1. Make 2x single crochets in each stitch. R3: chain 1. Make 1x single crochet in the first stitch. Then make 2x single crochets in the next stitch. Then repeat until you've made your way around R3. R5: work in the front loops and make 1x single crochet all the way around R5. This will create a nice edge. 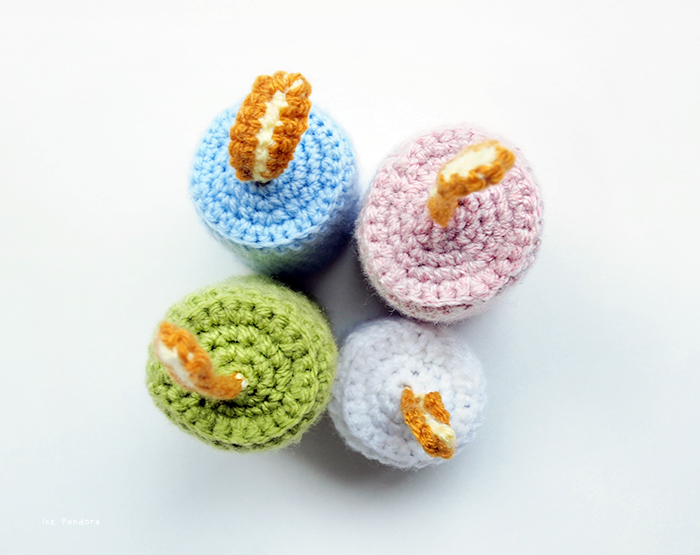 R6: from here we are building up height of this candle to your desired lenght and all you need is to single crochet! Attach the premade flame on top of it (where we created our magic loop R1) and insert the toilet roll in the crochet candle to give it a body. When reached desired length you close the hole: work in back loops and single crochet your way around. First stitch: 1x single crochet. Second stitch: 1x single crochet decrease. Repeat these steps all the way around. Final round of closing the hole: decrease all the way until the last remaining stitch, leave a tail and chip off. Tuck the tail inside the candle, and you're done! These are amazing! They would look great to used for candle sweaters hehe. I will never have your skills, haha. Stephanie's right, they would be such good candle sweaters! What a fun idea! Perfect for decorating during autumn and winter! Ahh these are so adorable! 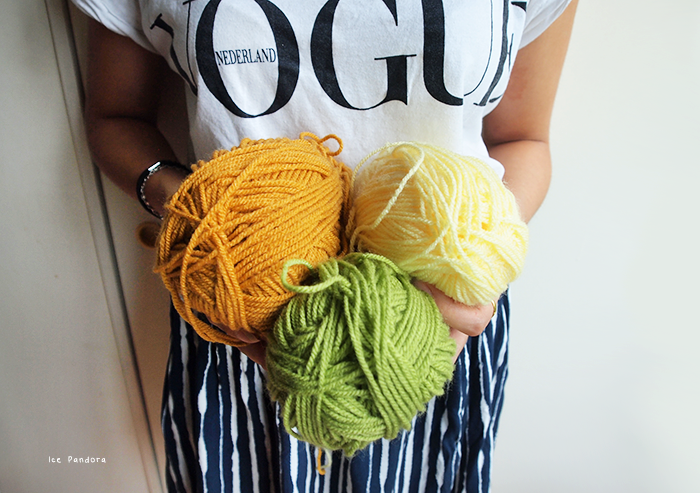 I've been on a knitting/crocheting kick lately and these are perfect for my next project! 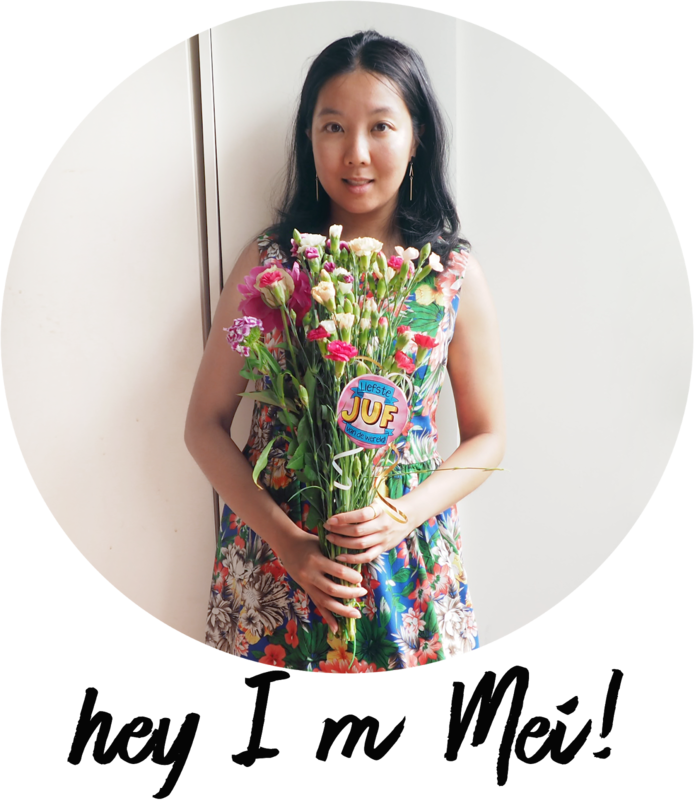 Thank you for visiting my blog doll, would love to get your thoughts on my latest excursion to tropical Mexico! Hope to see ya back soon! i didn't get to watch the whole video yet but i love how you show how to crochet. so so helpful! i'll definitely be going back to it and learning! Love them!!! 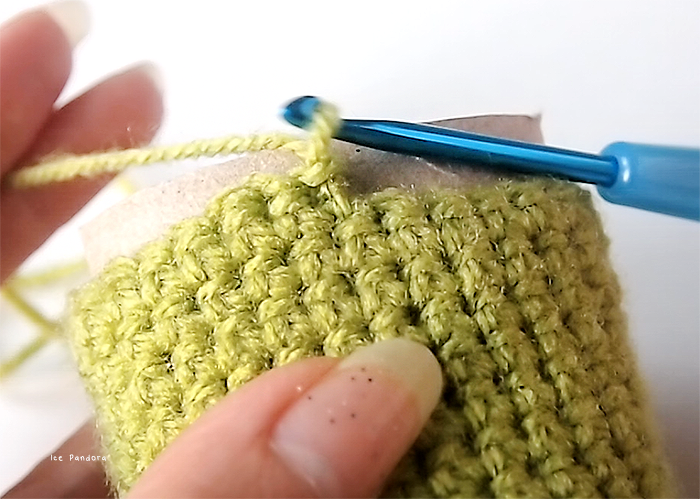 I totally need to go back to your tutorials again once I learn to crochet :) the video instructions seem so fun and easy to follow (once you know a little basics, not my case, which I see it almost as a magical process! :P ) Btw, love your glittery thumb nail! >candle stands</a> and holders! I Fab!